“You’re moving where? 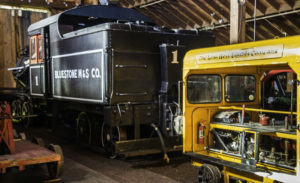 – Willits – where’s that?,” my museum guide, Dirk, told me his personal story as he shuffled me around the County Museum and Roots of Motive Power exhibits and gave me a thumbnail history. It seems Dirk’s friends in Santa Rosa didn’t understand his decision to up and move to Willits more than 25 years ago, nor did they, or I, really appreciate what that quiet, friendly little Mendocino County town has to offer. I learned from Dirk that in the early 1900s Willits was a whistlestop on the Northwestern Pacific railroad line. 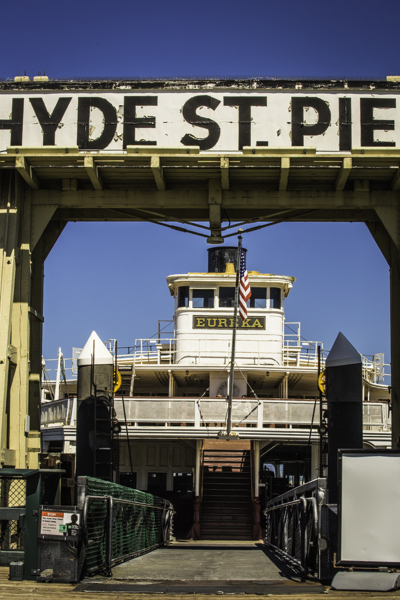 The trains started with a railroad ferry from the Hyde Street Pier in San Francisco and steamed north to Sausalito to join with rails that ended hundreds of miles away in the booming lumber town of Eureka. 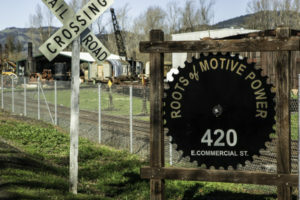 Willits was also once a bustling lumber town and railroad hub for both the Northwestern Pacific and California Western railroads. 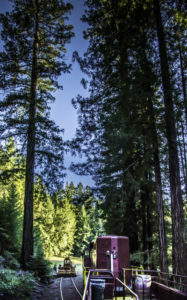 Now Willits is a perfect weekend destination with a sleepy up-and-coming artists’ whistlestop colony, a tourist railroad (The Skunk Train), boutiques and vineyards as well as a historic redwood lumber company. Before my wife and I set out for a weekend in the north country of California I had wondered, what in the world are we getting ourselves into – a boring weekend? I shouldn’t have worried. Twenty miles north of Ukiah on Hwy-101 – beyond the fine Healdsburg Dry Creek Sonoma vineyards and the excellent Alexander Valley vineyards of Mendocino County – the region surrounding Willits offers some truly excellent wines (e.g. Parducci, Frey, Barra, Testa, Lolonas, Cole Bailey, Dunnewood and Giuseppe). Unfortunately, on this trip we didn’t have time for sippin’ and vineyard trippin’. The old tin patterned ceiling and bank vault added a special charm. With my wife off to a morning business meeting, I was looking for some coffee to warm and wake me on cold foggy Saturday so I wandered down S. Main Street and into the Brickhouse Coffee shop. The warm community spirit struck me immediately. Families with toddlers mixed with white haired seniors seated at community benches in conversations that seemed to fill the entire room. Sitting on a couch in the corner sipping my morning wake-up, hearing the laughter and watching all the smiles, it didn’t take me long to get warmed to the core by the pervasive warmth and friendship in the room. With a population less than 5000, it seems everyone knows everyone. 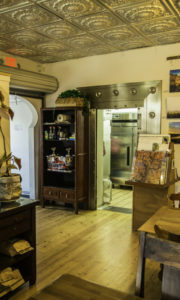 A wonderful, old tin ceiling and a vault adorned the space. 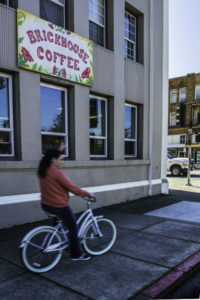 Tom, the owner, told me the building was once an important local bank with people stopping to meet, greet and grab money on their way to the train depot. Still a meeting place, now they stop to grab a quick coffee or a “Breakfast Popper”. When I asked Tom how he got to be in Willits he echoed a theme I would hear over and over. He told me his car broke down on the way back from surfing on the North Coast, he loved the place and the people so much that he decided to stay. Just around the corner from the coffee shop, I found myself stopped-to-shop by the local Willits art center offering a “huge sale” on local artisan jewelry. Thinking this might be a good opportunity to revisit with my wife later in the day, I went in. Greeted by a warm hostess, Holly, and an amazing array of truly fine locally-made jewelry and paintings all together in a wonderful gallery space, I had to ask – how? Holly told me the building was originally the Willits Women’s Club. When it fell into disrepair a group of locals purchased it for $1, renovated it and converted it to a gallery and community center. With yoga and dance upstairs in the morning and paintings and jewelry exhibits downstairs, it seems to be thriving. 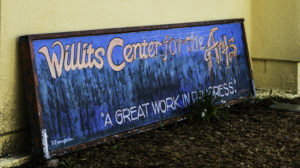 The local Willits art scene has been greatly aided by the high price of living in the San Francisco Bay Area with more and more artists moving north each year. In the art center, I ran into mayor Gerry Gonzalez. He told me that he, and many of the graduates of Willits High School, went off to college but then, unlike other small towns, most came back. Gerry told me his family and many others came to work on the California Pacific railroad. When the railroad was finished they stayed. Hmmm, I thought, there is something special going on here. Well satisfied my wife would like the experience, (and double-checking my wallet for jewelry money), I wandered on down to the depot. Skunk? – So named, the conductor told me, because the original 1925 pot-bellied oil-burning stoves used to warm the passengers in the rail car buses put off such an odor that the people along the tracks could smell the train before they could see it. The railroad started laying tracks from Ft. Bragg on the California coast in 1886 and slowly crept deeper and deeper into the forests of the Noyo River basin as the need for timber grew. C.R. Johnson, the owner of the mill in Ft. Bragg, had a strong belief that the future needed to see some of the incredible Pacific Redwood forests so he left stands of trees untouched along the rail line. Today the four hour round trip 40-mile train ride through the forests of Northern California remains a tribute to his vision. With one hour, half-day, full day, dining and camping options, the trains open up this unique forest experience on a daily basis. Was I ready for some real 1950s Americana, Willits-style? That’s what I was surprised to find down the road from the depot at the County Museum. When the local soda fountain closed they picked it up, restored it, and moved it into the museum. (I secretly longed for one of those real milk shakes -95 cents- or a banana split -$1.20- made with local handmade ice cream, but alas, those days are gone.) 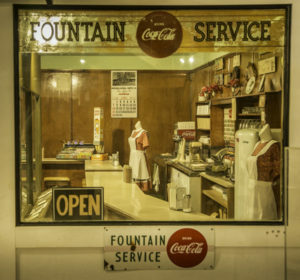 Like the soda fountain, when Dr. Withrow closed his old dental office, they moved it into the museum; the same for Mr. Mc Namee’s dry goods store. 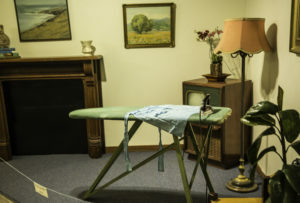 Browsing the displays of 1950s kitchens and living rooms, I was transported back to an earlier time when life was simpler and TV only came in black and white – so you filled in the colors in your mind. 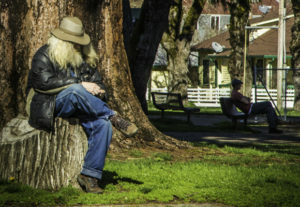 Some of that old-time simplicity seems to have survived in Willits where the people still have time to visit, soak up the sun sitting in the park and enjoy the community culture. Roots of Motive Power is an all- volunteer organization that boasts members living all over the country. The members are committed to preserving and restoring steam and diesel powered equipment used in the Pacific north coast logging industry. 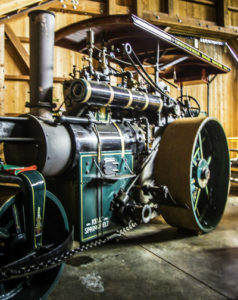 The group hosts a “steam up” fest each September that brings to life historic engines from the turn of the last century. The historic collection contains an amazing array of equipment from the early 1900s and has restoration projects that will likely extend well into the next century. A visit offers a unique glimpse into the tough life in the woods of the 1900s and the timber industry that supplied the lumber to rebuild San Francisco after the earthquake as well as to establish the cities in New Zealand and Australia. Steep logging railroads were not always well built so the steam locomotives could not travel at high speeds. To compensate, Shay-type steam locomotives were fitted with gear driven wheels. 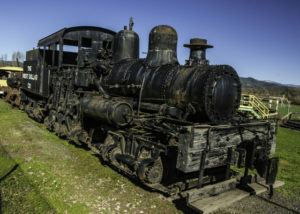 The locomotive seen here was built in 1918 in Lima, Ohio and before retirement, it was used up and down the Pacific coast of Oregon by seven different logging companies. Next year it will turn 100 and hopefully will get a new coat of paint to give it a new lease on life. A blast from the past – a music and video store. 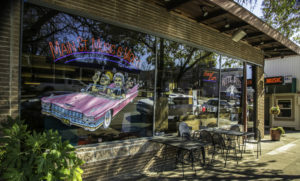 Main St. Music & Video – a video rental store with real used music CDs to browse and buy; and a café in the front to sit for a night time snack – no sterile Amazon experience here! 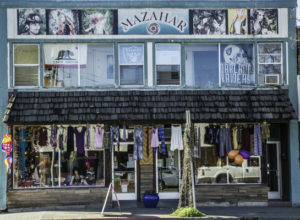 Mazahar – did Haight Ashbury and the 60s-Summer-of-Love pick up and move to Willits? I wondered if they had a lava lamp or love beads; or maybe a one-of-a-kind “gypsy” or steampunk suit for Burning Man. Frontier Days & Rodeo: Each July Willits holds a Frontier days, rodeo and Independence Day celebration. It is one of the oldest continuous rodeos in California. Seabiscui: The Ridgewood Ranch where Seabiscuit trained, is in the lush Little Lake Valley just South of Willits. Here the great triple-crown winner lived out his retirement and is buried. Give my regards to Tom at the Brickhouse Coffee, 3 S. Main St. open 6-4 Mon-Fri. and 8-4PM on Saturday. Be sure to check their venue for possible Saturday night entertainment. BARRA Vineyards of Mendocino County is located at 7051 N. State St., Redwood Valley and the tasting room is open 10AM-5PM daily. 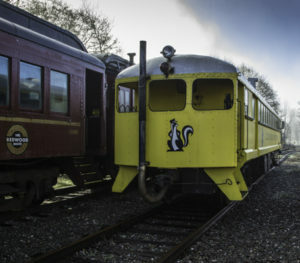 Skunk Train information, routes, options and booking is available online. For lodging with train and other spa package offerings, visit the Baechtel Creek Inn website. For wine, waves and wilderness, visit the Mendocino County website. What a great article with splendid photos. 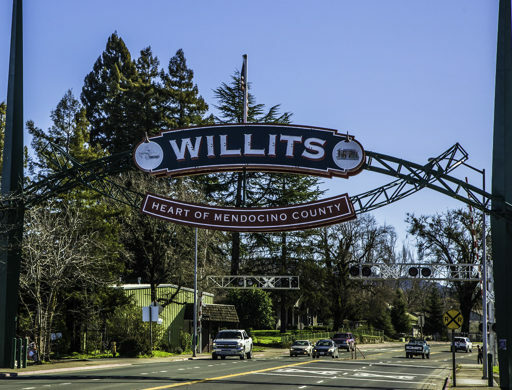 The author brought Willits to life in a way most of us miss when we rush through the town on the way to somewhere else. John Sundsmo has just put Willits back on the map.